Dystopian. I hate the word, not just because of the imagery it calls to mind, but also because it has been the theme of so many futuristic novels and films lately. And they all have similar plots: a global epidemic, climate change or war (or all of the above) forces the remaining members of society into hiding, inside an idyllic walled city where they are ruled by Elders, a Ministry or a Congress. Memory wiping and/or reconditioning is the ruling body's method of asserting their control over the people, but there's that one person who remembers something from their past through dreams and flashbacks, and that one person, usually aided by friends, ends up being the hero who dethrones those in power and leads everyone to the discovery that—gasp—there's actually still a livable world out there. We've seen it in Aeon Flux, The Hunger Games (sans the memory wiping and livable outside world), The Giver, The Maze Runner and the Divergent film series. Can we really not imagine a futuristic world another way? Oh, right. The alternative is to be dominated by aliens. 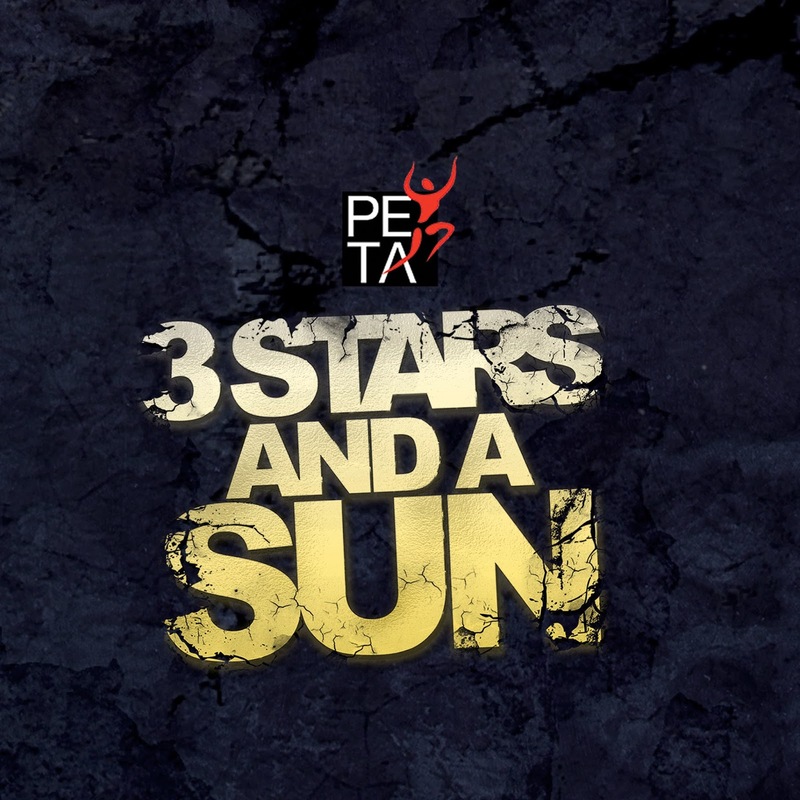 PETA follows up its successful several runs of Rak of Aegis with a rap musical called 3 Stars and a Sun, this time paying tribute to the music of late rap legend Francis Magalona. 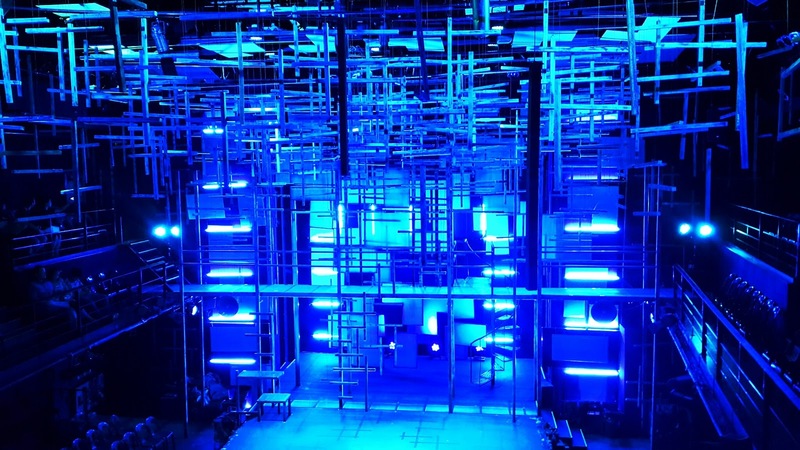 The play's theme is dystopian, with elements reminiscent of Aeon Flux and The Giver, with some West Side Story-esque teenage gang rivalry thrown in. Bregna/The Communities is Stormdome, the Jets and the Sharks are Lumino and Diliman/Tropang Gising, and Aeon Flux/Jonas is Sol. But unlike these novels/films, 3 Stars and a Sun is set in the Philippines exactly 70 years into the future. 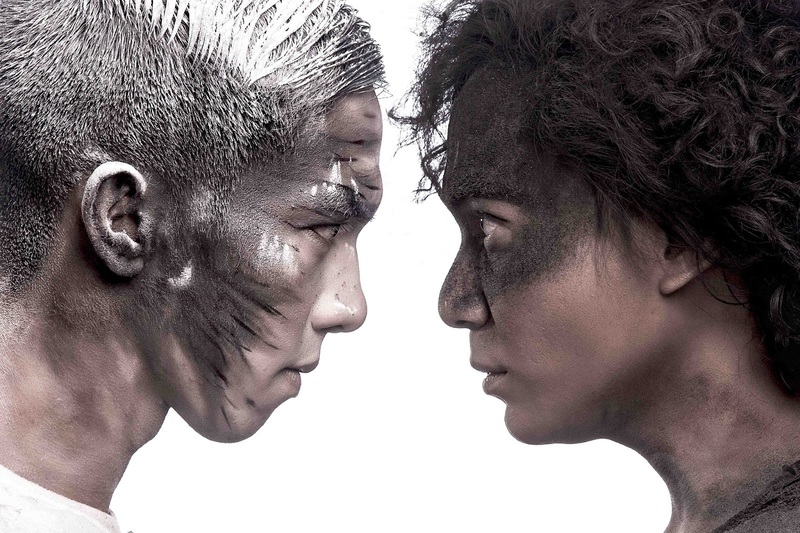 Francis M's music ties the play's nationalistic angle to its plot, giving the audience a somewhat unexpected slap in the face—intense, but not too forceful, if that's even possible—not unlike the one everyone got when they saw Heneral Luna in cinemas. It was a slap that rebuked, "Shame on you for forgetting your country's history and debasing what your national heroes have shed their blood for!" I had braced myself for something over-the-top, influenced by a friend's comment that PETA's plays tend to be so, but whatever initial impressions I may have had of the production (I thought within the first few minutes, "Ah, so it's to be a battle between the conio kids and the kanto kids") were quickly erased as the musical went on. I was relieved that "Kaleidoscope World," arguably one of Francis M's most popular hits, wasn't butchered or overused. It was injected into the musical in small doses, just enough to tug on the audience's heartstrings, not sung in its entirety to the point of becoming a sing-along number. Same with heartfully rendered "Cold Summer Nights"—I had to confirm with my friend Cams if I was hearing the song right because it was...wait, I won't spoil that for you. To be completely honest, I was never a Francis M fan. I knew only of his songs "Mga Kababayan" and the other two I had just mentioned. But I know he was fiercely nationalistic. While Western hip-hop artists rapped about weed, women, money and bling, Francis M rapped about defending our motherland, the land of the three stars and a sun. He called for the youth to make a stand, hand in hand, declaring, "kabataan para sa kinabukasan." He influenced younger rap and hip-hop artists like Gloc 9 and Abra to write about thought-provoking matters that would hopefully call the masses to action. And that was PETA's aim in creating this rap musical: a call to action that we would remember who we are as Filipinos, and that we would live in a way that would make our national heroes, Francis M included, proud that their deaths contributed greatly, in a positive way, to this country's present generation. The dazzling set of 3 Stars and a Sun. 3 Stars and a Sun is written by Mixcaela Villalon and Rody Vera, and directed by Nor Domingo. Musical arrangement and direction is by Myke Solomon (who also did the same for Rak of Aegis). Production design is by Gino Gonzales, light design by Shoko Matsumoto and Ian Torqueza, sound design by Teresa Barrozo, and choreography by Delphine Buencamino. Gio Gahol (Chino) and Nicco Manalo (Sol). The cast is led by Nicco Manalo alternating with Gold Villar for the role of Sol, and Paolo Valenciano alternating with Gio Gahol for the role of Chino. The rest include Che Ramos-Cosio and Carla Guevarra-Laforteza (portraying Vidame Inky), Giannina Ocampo and Justine Peña (Dianne), Bodjie Pascua and Raffy Tejada (Mang Okik), John Moran and Nar Cabico (Poy), Anna Luna and Jet Barrun (Nazty), Lee Villoria and EJ Pepito (Kat), Anj Heruela and Gab Pangilinan (Chelsea), and Jef Flores and Norbs Portales (Winston), with the ensemble composed of Jason Barcial, Raflesia Bravo, Yesh Burce, Lance Busa, Roi Calilong, Gimbey Dela Cruz, Nica Santiago and Ian Segarra. 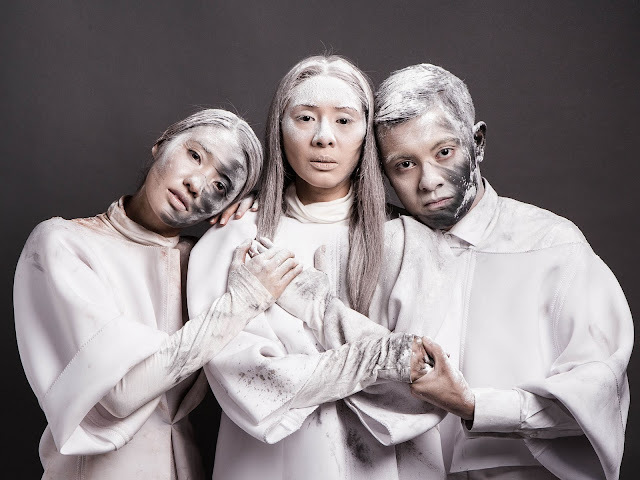 Giannina Ocampo (Dianne), Carla Guevarra-Laforteza (Vidame Inky) and Paolo Valenciano (Chino). While everyone else in Manila was at Madonna's concert last Wednesday, my friends and I watched the musical's 8-o'clock show, whose leads included Nicco Manalo, Paolo Valenciano, Giannina Ocampo, Che Cosio and Raffy Tejada. Che Cosio talk-sang her rap parts in a cute way. Which isn't to say it wasn't good, but I'm curious to know how Carla Laforteza would have executed her rapping. Paolo Valenciano, sounding like his dad at times when singing (that's a compliment), was effective in his role, as were Giannina Ocampo and Nicco Manalo, but it would have also been interesting to see how Gio Gahol, previously just a choreographer and ensemble member in Rak of Aegis, would have portrayed Chino, rapping, singing and all. I'll have to see another show to find out. The rap musical runs from February 4 to March 6, 2016 at the PETA Theater in New Manila, Quezon City. For tickets and inquires you may visit petatheater.com or ticketworld.com.ph.